The Panasonic EP-MS40 Massage Sofa Chair is designed with a contemporary look as to fit in with a wide range of room decor. So it does not look like your typical clinical style massage chairs that you will find everywhere. 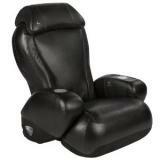 This massage chair is designed to deliver a high quality massage as well as look great in your home or office. Along with the neck to back massage the chair as a hidden feature that you have to see. Panasonic did not design the EP-MS40 massage chair to simply massage your back, it is designed to promote good health by delivering total muscle relaxation and increased blood flow throughout your body. 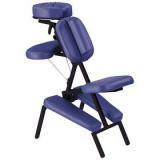 This makes is much more than just a massaging chair like so many of the others on the market. Click here to Buy From Amazon at a 12% Discount Now! At the heart of the EP-MS40 is a 26-inch curved track and 7.2 inch wide massage head that makes a more precisely delivered massage. The whole chair is precisely engineered by Panasonic to ensure that the massage is complete your neck down to your lower back area. Click here to SAVE $299 on the Panasonic EP-MS40ET Sofa Style Massage Chair for a limited time only! 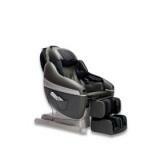 The massage chair has two ways to control the massaging unit inside this chair; manual and pre-programmed settings. The manual settings consist of two manual programs – Targeted Massage and Pinpoint Massage. The pre-programmed settings consist of four modes; Full Massage, Mini Massage, Relaxation Mode and Variety Mode. The built-in Air Ottoman System inside the Panasonic EP-MS40ET is designed to add an additional amount of muscle relaxation to the area below your. It targets the muscles of the calf and shin area as well as your feet. 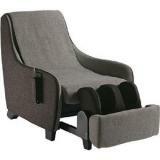 The ottoman has a secret hiding place inside the chair and it folds up inside when not in use. This gives it a more natural look whether you place it in your living room or office. Based on the reviews that have been posted online Panasonic has designed an awesome massage chair. One of the reviewers commented that the design of the massage chair reminded them of a single person sofa and not a massage chair. A reviewer pointed out that the EP-MS40ET has chopping/tapping massage unlike any other on the market. This massage chair is like no other massage chair they have ever had the pleasure to sit in. However, as with most products, this unit is not without its drawbacks. Accord one reviewer if you are simply sitting in the chair and not using the messaging you can feel the mechanics underneath. Another negative was that there was not much room for arm rests. 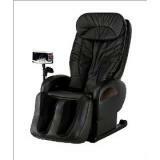 During the research phase for this massage chair review, we found hundreds of reviews for this product. Most real life customers have been delighted with this model. Click here to read more reviews on Amazon. In conclusion, the Panasonic EP-MS40 Massage Sofa Chair is one very well engineered massage chair and with all of its features it is no wonder why it received such high ratings. Also not so surprising that despite the high price tag none of the reviews mentioned the price as a negative. With that in mind I would definitely recommend this massage chair to everyone. How would you rate the "Panasonic EP-MS40ET Sofa Style Massage Chair"?